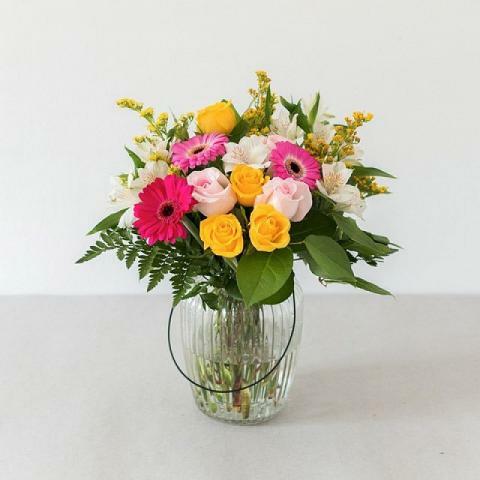 This pink and yellow rose bouquet is a bright and colourful departure from darker, more dramatic rose bouquets. 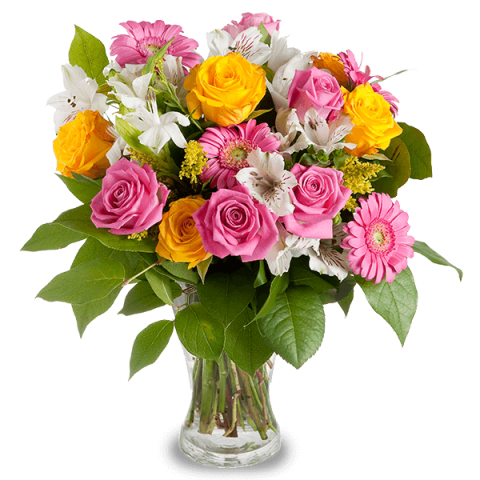 What could be more heavenly than a pink and yellow rose delivery for someone’s birthday, to say “congratulations” on their wedding day or to wish mum a warm greeting on Mother's Day! Very well put together bouquet. This was a beautiful and special gift, I truly loved it! Really a good one. 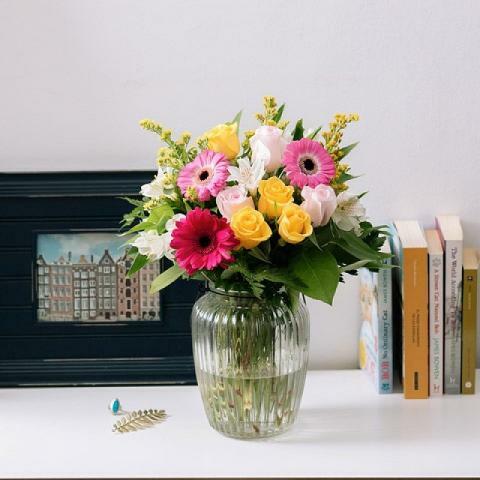 Fresh flowers with quick delievery. Well packed, in great condition, on time. The flowers are gorgeous and the card is very sweet. good and reliable srvice on hand wheever you need. The beautiful flowers and service! Everything was perfect sepecialy thé flowers with cher water. A service I know I can rely on - thank you. Very fast service and bouquet delivered was exquisite! I thought he bouquet was a bit small. 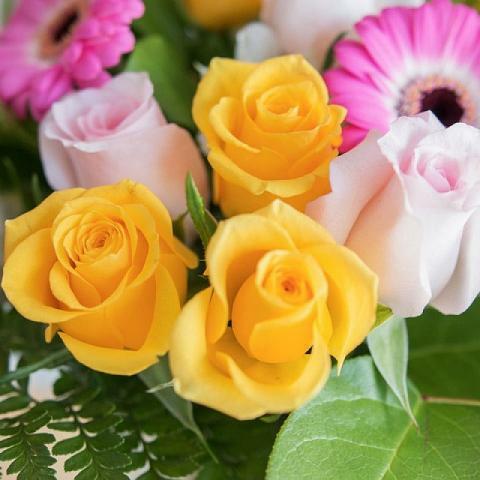 I will recommended very good service and beautiful flowers. Thanks for the help provided, and the timely delivery. Cheers.